Get a map of the USA and find Columbus, Ohio. Look at its location and the intersecting interstate roads. You soon see that Columbus, the 15th largest city in America, is in the middle of a massive part of the USA. After 911 a lot of NY City firms saw that and relocated here. Columbus with a one day drive is within 42% of America’s population. A four distinct seasons climate with no real extremes and a very varied surrounding landscape is an attra ctive location to live in. Central Ohio is an educational center as is all of Ohio. Beginning with the incredible Ohio State University main campus there are many various universities, colleges and trade schools and the cost of education here is very reasonable. The life style is very salt of the earth midwestern. Lots of fairs and festivals, theme parks surrounding, lakes and streams, national forests, caves and rolling hills to amazing farms including the Amish. The cost of living is moderate. New Yorkers have written articles about being very concerned about relocating here until they found that under ,000 a month leases a beautiful condo and nice new homes are 140 to 300 thousand and 0,000 will buy an entry level mansion. Figure your costs at 1/3 that of New York City, or less. And yes, family run pizza shops and restaurants are just moments away from any residential area, Columbus is a center of warehousing because of its location and as a result warehouse outlet st o res surround us. The population is diverse, well educated and the people are friendly. Because of this middle of the roads location something else flows through Columbus. Traveling bands, artists, exhibitions and artist presentations of all kinds by default at some point find their tour bus or trucks of equipment driving through Columbus and so lots of concert venues exist here with reasonable priced tickets. Fishing, racing, boating, college sports, and with the Golden Bear living here you know there are golf courses everywhere. Oh, Clapton lives here for a reason too. Live music of all kinds surrounds you in Columbus. I have lived in LA, and Tampa, and have been in every state. 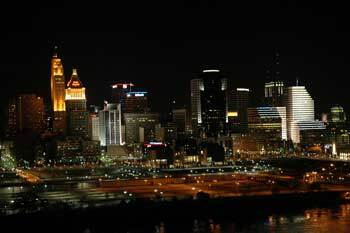 I will take Columbus, and Ohio any day as the place in America to live for me.